Conner David McCain is a composer, organist, and conductor, and is currently an MMus student at the Catholic University of America in Washington, D.C.. His main compositional interests lie in continuing to develop and renew contemporary concert repertoire for the organ, all while remaining aware of the achievements of the past, such as in works like his Toccata-Fantasia, and also crafting novel and intimate formal organization for small ensemble performance. Works such as the earth flows away from the shore where I stand, written for the Oregon Bach Festival's Composer Symposium, are not only attempts to introduce a mature and unique soundscape, but also to build new relationships between pitch and rhythmic material into a form which he calls “crystalline,” or the slow, pressurized production of more traditional melodically oriented music out of modern techniques and sounds. Most of his music is a result of this meditation on the relationship between the traditional and the modern, and is an attempt to reconcile the two. Choosing to study Philosophy and French at the University of St. Andrews instead of music somewhere in the United States, his experience in Scotland was intellectually, spiritually, personally, and musically edifying, and resulted in his works being performed by ensembles such as Voces8 and the Red Note Ensemble, a composition masterclass with Philip Stopford, and fruitful personal and professional relationships with composers such as Sir James MacMillan and Phillip Cooke. Due to this broad education, his work is inspired by a variety of sources, not only spiritual and philosophical, but also literary and poetic, as can be seen by the titles of some of his works. the earth flows away from the shore where I stand, for B-flat Clarinet, Trumpet, and Piano, takes its title from the first line of "The Song" from Czesław Miłosz' Three Winters. As an organist, Conner has performed with ensembles such as the St. Salvator’s Chapel Choir, and formed and led his own Schola while at the University of St. Andrews, specializing in the reconciliation of a more traditional musical aesthetic, based on Gregorian chant, with modern sacred music, such as that of Marcel Dupré, Maurice Duruflé, Kenneth Leighton, Sir James MacMillan, Olivier Messiaen, and many others. Research interests include the theological implications of the music of Olivier Messiaen, and, more broadly, developing a theology of creativity based upon Creation itself. Conner has been invited to present a paper at this year’s American Academy of Religion Annual Conference, titled “Olivier Messiaen’s Des canyons aux étoiles: How Love for Creation Inspires Creativity.” He has been a Wilbur Research Fellow at the Russell Kirk Center for Cultural Renewal, where he gave a paper entitled "The Composer as Contemplative: Toward a Theology of Composition." 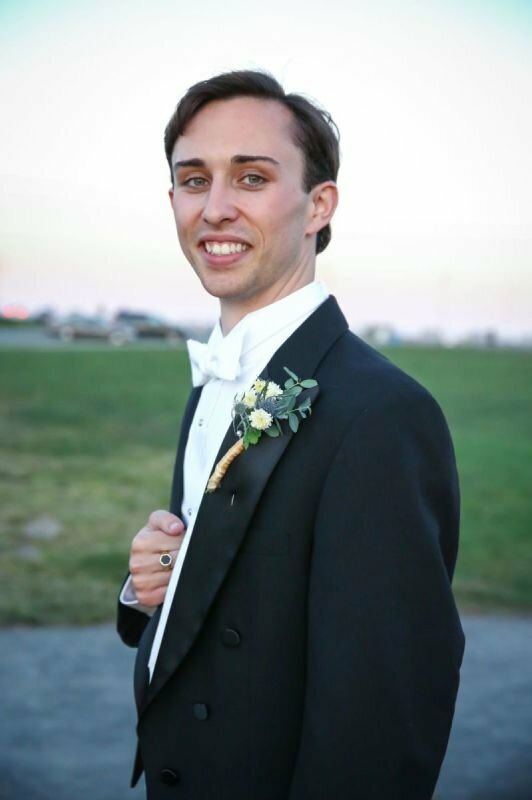 Originally from Dallas, Texas, Conner and his wife currently reside in Hyattsville, Maryland.